A fresh 6" of snow this morning. Some of the red birds around. You got to stand for something or you'll fall for anything. We got about 4" from the same system I think. Yes this 6" was without a whole lot of fanfare.Think a couple more inches fell since then.Not much wind which makes it more pleasant.Rather pretty really even shoveling all morning.I've been through some real dillies in the past 70's and 80's and 90's though while farming keeping a lot of livestock alive.No time for hobbies inside then.Move snow for 2 days just to maintain normal order.Then the wind turn the other way in a couple days and blow harder and do it all over again. It seems in a lot of places all over the country the trend is wetter. Not sure where you are at Ed but we are in Rochester, Mn for a period of time and haven't had snow for a month. 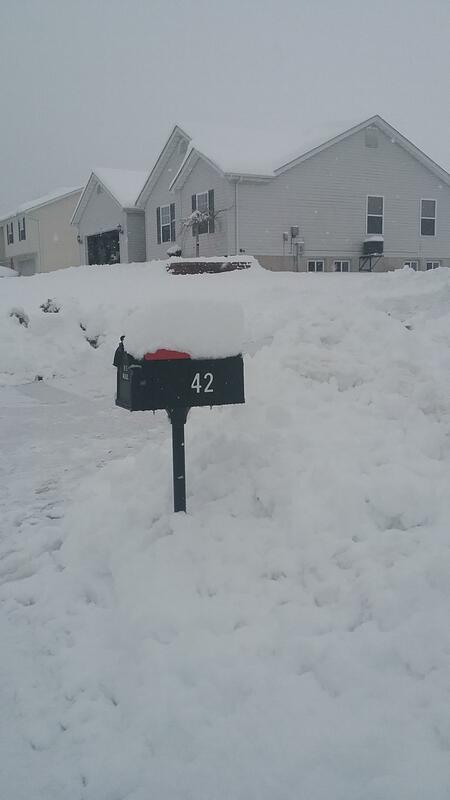 Our son lives in Michigan and he has yet to plow his drive. Good deer winter in Michigan so far. Neat pig, btw! We got some rain here, enough to make mud for the dogs to track in! Not much snow north of Denver, quite a bit n the southern mountains, we need more, preferably not all at once! But any way we can get it, works. Life is far too serious to be taken that way! Yes not everyone is getting a lot of moisture lately.I did'nt mean that everyone did.Especially places like California too with the fires.Previously here in southern Iowa the last 2 winters we have had virtually no snow.Snow blower sales were very low.I never did start the tractor to plow snow.Late last summer the trend has changed here.It goes in trends like that. Our deer are doing pretty good yet really but I'm sure this snow lately will put some stress on them.It hurts the birds like pheasant and quail more so really. 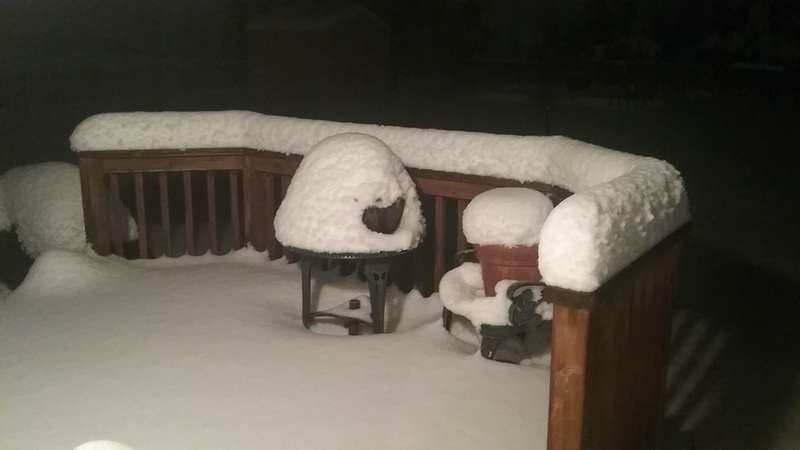 Got 4-5 inches here in NE Kansas . Huh, an eagle just flew by the window... cool. We had snow earlier but it's almost all gone now. Like Jeb said. It's been a easy winter for the wildlife here so far. Crops came off late, some still out and very little snow. That could all change any day though. Nice working in the woods right now. We got another round of snow last night. Worse than the previous night. That made for a white knuckled 2 hour drive to work this morning. Yeah, Clint, you're getting similar weather as us about 24 hrs later. The Wife hopped plane to Ft Lauderdale about 12 hrs before it started snowing here at home. I'd say you got your fair share there Mike.Someone has to hold the fort down...HEH! !No grilling today....Ha Ha.Your wife just got out of there. 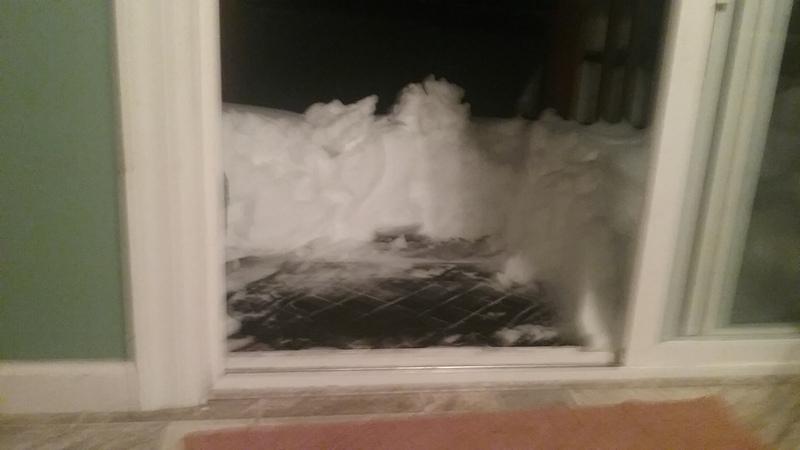 I started tractor and moved snow here.Got my neighbor out then too.Mailman did'nt deliver saturday here. I spent most of a winter working in Iowa in the late 80's. 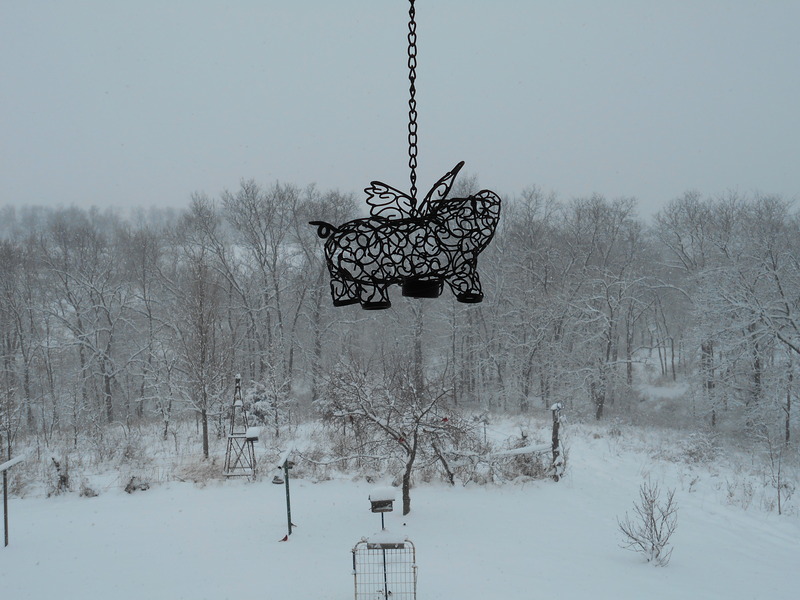 One of my favorite memories was a snowy morning with a dozen cardinals and a few blue jays at a bird feeder. They were so brightly colored it almost hurt to look at them. One sure could have worse scenery out the window, Ed. Guns have triggers. Bicycles have wheels. Trees and bows have wooden limbs. 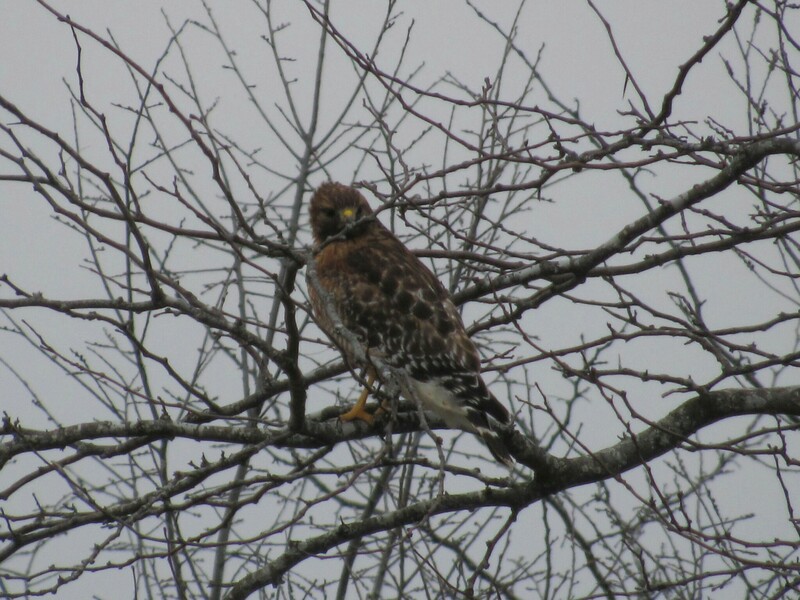 It's my cheapest form of entertainment I guess a person could say.All those birds can drive the hawks and owls nuts.What kind of hawk would this be?I know it's not a red tail or even an immature one.I'm guessing it's a northern gos hawk? Page created in 0.741 seconds with 26 queries.